Atrocities in Myanmar were thrust to the international stage during the reporting period, as Facebook came under pressure for failing to combat disinformation on its platform. In September 2018, a UN fact-finding mission report called for prosecuting perpetrators of genocide, crimes against humanity, and war crimes via the International Criminal Court (ICC) or a new ad hoc criminal tribunal.2 That same report highlighted Facebook’s role in the atrocities, claiming that it has been a “useful instrument” for spreading hate and inciting violence, and noted that the platform serves as the internet for many in the country. Separate reports have provided evidence of the government’s and military’s systematic campaigns to spread disinformation online in order to popularize the state’s narrative.3 In attempts to limit the proliferation of disinformation and inflammatory content, Facebook’s opaque blocking and filtering processes have had a disproportionate effect on Myanmar internet users. Internet access is improving in Myanmar, as more users go online via smart phones connected to newly available and fast 4G services, despite access being comparatively unaffordable. The success of two foreign-owned mobile phone operators has placed pressure on the state’s monopoly, and the state has responded by gifting a mobile phone license to a military-owned conglomerate. Private fixed-line internet connections remain rare. Only one in 1,667 people has a fixed broadband line, compared to one in 10 on average in Asia Pacific.11 Prices for fixed broadband lines have decreased significantly, though there remains a regional variation. The government has continued to refrain from restricting access, although it retains the power and control to do so. The Ministry of Transportation and Communications controls much of the telecommunications infrastructure via the state-owned Myanmar Post Telecommunication (MPT), though private providers are gradually diversifying ownership of the internet backbone. Myanmar has seven gateways and is expected to develop more soon to support its 70 percent annual growth in bandwidth demand.32 New private gateways are making the international connection more resilient. Myanmar has seen growth in market diversity since the last reporting period. As of December 2017, 137 telecoms licenses had been awarded, including to three telecommunications operators.44 Mytel and Amara Communications, two domestically-owned telecommunications services, started operating in 2018, as did a third, Global Technology Group. Despite more operators entering the market, there is not an increased demand for fixed-line connections. The cost of setting up these connections remains comparatively high,56 due to a lack of a legal framework enabling telecommunications operators to recover contractual fees if a user defaults on payments, pressuring operators to charge upfront. However, the very high costs of fixed-line connections have decreased slightly due to competition with 4G and a dearth of demand from customers. For example, one new ISP launched a 2MBps service in Yangon in May 2017 with an initial set-up fee of US$250 and monthly charges of $95, but by September 2017 the monthly charges were reduced to $36 with no set-up fee.57 These costs, while reduced, keep personal fixed-line connections far out of reach for the majority. Myanmar’s regulatory bodies remain fully under the control of the government. The Ministry of Transport and Communications’ Posts and Telecommunications Department (PTD) is responsible for regulating telecommunications in Myanmar. Under previous governments, PTD was the regulator and a monopoly operator for all telecommunications. These roles have now been separated, with PTD acting as the regulator and Myanmar Posts and Telecommunications (MPT) acting as the state-owned operator. PTD’s responsibilities include issuing and renewing telecommunications licenses, regulating the frequency spectrum, addressing consumer protection, inspecting and supervising telecommunications operators, and instituting any administrative actions against operators.65 However, both PTD and MPT are state-owned institutions without proper safeguards for regulatory or operational independence. Article 86 of the Telecommunication Law outlines the Myanmar Communications Regulatory Commission (MCRC), although it has yet to be established.66 MCRC would take over regulatory functions and institute a mechanism to adjudicate any administrative issues in the telecommunications sector. The government has continued to refrain from blocking or filtering content. In August 2012, the government lifted all prior-censorship of traditional and electronic media, with the exception of films, dissolving the Press Scrutiny and Registration Division shortly after. The Telecommunications Law includes broad provisions giving the government the power to temporarily block and filter content, on the vague grounds of “benefit of the people,” and without any proper safeguards.72 The government does not actively publish blocking and filtering lists or procedural information on how any such decisions are made, when, and by who. While Facebook discloses only minimal information about its internal systems, removals appear to primarily be through automated blocking and filtering mechanisms backed up by some human action.80 This process is opaque and has disproportionately impacted legitimate content with limited, if any, avenue for appeal. The platform's "community standards" are broad and vague, and the decision-making process is unclear, as is who is involved in the content moderation. These processes raise concerns, as Facebook has removed a range of pro-Rohingya, anti-Rohingya, 81 and pro-military accounts and content, including those reporting on and documenting human rights violations (see Content Removal). Pressure on users to remove content continues to originate from the government, military, and other groups. The Telecommunications Law does not include provisions to force the removal of content or provide for intermediary liability, although some articles are vague and could feasibly be argued to cover content removal.82 Pressure to remove content instead comes from the use or threat of using criminal provisions, such as Article 66(d) of the Telecommunications Law. Neither Google nor Twitter reported any requests for content removal,83 although Facebook reported receiving one request from July to December 2017.84 Facebook also stated that they have received very little proactive communication from the government on any subject.85 There are no public reports on government or court requests for content removal from domestic sources, such as locally-stored websites, or serious demands for local intermediary liability. In September 2017, it was discovered that Facebook posts documenting the military’s crackdown against the Rohingya in August were hidden on the official page of the office of the commander-in-chief Min Aung Hlaing.87 The military claimed that they were unaware of the issue, although Facebook confirmed that page administrators have the power to hide content. The posts were accessible when using key search terms, implying that they were not deleted outright. Activists, particularly women and members of religious minorities, reported receiving violent abuse or barely concealed threats to take down content.88 Pressure to remove content is also prevalent in coordinated reporting campaigns in which users misuse Facebook’s mechanism for reporting content that violates the platform’s Community Standards89 in order to disable rival pages or temporarily limit users’ ability to post or message.90 Activists have also argued that there is a targeted effort of progovernment and military users to report content of pro-Rohingya and human rights groups. The government and the military continue to dominate the means of public discourse. Despite years of affirming their desire for media freedom, once in power the NLD resolved to retain state-run media109 in order to control publicly available information.110 As a result, the government and the military still control all of the broadcasting sector and a significant part of print media, including all of their online platforms, either directly via the Ministry of Information or via joint ventures with private companies.111 Hopes that the NLD would increase the editorial independence of state-controlled media and joint venture media outlets have evaporated. In October 2018, following the reporting period, the New York Times reported evidence of the military’s systematic campaign on Facebook beginning about half a decade ago.130 Nearly 700 people were reportedly involved, creating and managing fake accounts and pages, often for entertainment purposes and celebrities, which were then used to share false, misleading, and inciting content, largely relating to Muslims and the Rohingya. Troll accounts allegedly then helped spread the content to reach more users domestically. Individuals continued to use the internet, particularly Facebook, to conduct activism, some of which has been successful. Some of the most significant activism, both in terms of size and reach, have been in response to the plight of the Rohingya. Pro-Rohingya digital activists have used social media to strengthen networks within the Rohingya community, including with the diaspora, while simultaneously reaching out to other supporters.143 Social media has been invaluable for sharing videos, photos, and testimonies of sexual violence, looting, torture, and murder,144 particularly given that domestic media outlets are unwilling to share them. Some activist efforts have been constrained, however, particularly as Facebook has restricted content (see Content Removal). A coalition of civil society groups launched the #SayNOto66d campaign148 advocating for the repeal of Article 66(d) of the Telecommunications Law, which criminalizes online defamation. Despite the government’s partial amendment to Article 66(d) of the Telecommunications Law, criminalization of internet users persisted, including under an additional criminal defamation provision in the newly adopted privacy law. Intimidation of users has also intensified, both from the government’s new online surveillance mechanism and increased harassment against those reporting on or discussing the crisis in Rakhine State online. The current constitution, drafted by the military government and approved in a flawed 2008 referendum, states that “enhancing the eternal principles of justice, liberty and equality” is one of the country’s six objectives.149 However, new laws and amendments, and much judicial interpretation, ignore this aim. The constitution also provides specific – but highly limited – guarantees for citizens to “express and publish their convictions and opinions”150 and “freely develop literature, culture, arts, customs and traditions”151 provided that they are “not contrary to the laws enacted for Union [of Myanmar] security, prevalence of law and order, community peace and tranquility, or public order and morality.”152 Article 357 of the constitution includes a protection for private communications. The constitution includes no provisions directly relating to the internet, surveillance, or access to information, although Article 96 and Schedule 1 (8.m) provide parliament with authority to establish laws regulating the internet. In September 2018, following the reporting period, Reuters journalists Wa Lone and Kyaw Soe Oo were sentenced to seven years in prison in a politically-motivated trial. They were originally detained on December 12, 2017 while investigating the massacre of 10 Rohingya men and boys.174 They were charged on December 13 under the Official Secrets Act and were denied bail in February. In June and July 2018, the journalists’ defense lawyers informed the court that they were tortured while in custody (see Intimidation and Violence). The newly established Social Media Monitoring Team (SMMT) is expected to increase the state’s surveillance capabilities, while the government has moved to enforce regulations mandating the registration of SIM cards. The Telecommunication Law grants the government the power to direct unspecified persons “to secure any information or communication which may harm security, rule of law, or peace of the state.”189 The subsequent provision that any interception should not “hurt the fundamental rights of citizens” is an inadequate safeguard against abuse.190 The Telecommunications Law also grants the government the power to assign a broad range of persons to “enter and inspect, supervise or have documents produced” to and by telecoms license holders for the ambiguous purposes of defending the “security of the state or for the benefit of the people,” without any safeguards against abuse.191 A 2018 amendment to the Narcotic Drugs and Psychotropic Substances Law includes a new provision requiring telecommunications providers to disclose user information without due process.192 There are no requirements for judicial review. In February 2018, the president’s office ordered and the parliament approved, without prior consultation, the creation of the SMMT, which was later established under the Ministry of Transport and Communications.196 The government originally said that the SMMT is necessary to target those causing instability online, including “hate speech” and defamation.197 Public statements have since clarified that the SMMT’s mandate is narrowly focused on targeting foreigners and foreign organizations that “interfere” with, “incite unrest,” and infringe on the country’s sovereignty.198 It has been suggested, given Myanmar’s broader political context, that the SMMT was established to provide surveillance on foreign activists (which include activists from Myanmar who lack citizenship status), foreign media outlets, and international organizations communicating on issues relating to the Rohingya, and, to a lesser extent, the other conflicts inside the country, as well as the growing campaigns for justice such as the ICC. The SMMT was immediately and widely criticized by civil society as an unworkable system of state surveillance.199 Despite criticism, the SMMT was awarded an initial grant of approximately US$4.8 million,200 which it has reportedly used to purchase surveillance technology.201 The scale and automation of the purchased technology is unclear,202 and the government has refused, using security justifications, to reveal from which country the equipment was bought.203 No information has been shared regarding the SMMT’s powers and responsibilities, relationship with law enforcement and the courts, and any potential safeguards such as independent judicial oversight. The police continue to confiscate without warrant the mobile phones of those facing allegations of online criminal activity, particularly human rights defenders, political activists, and journalists.207 Police reportedly demand passwords for social media accounts and other applications, including in criminal cases where allegations have no relation to social media use.208 For example, shortly after Wa Lone and Kyaw Soe Oo were arrested (see Prosecutions and Detentions for Online Activity), police were accused of using Wa Lone’s confiscated phone to send a WhatsApp message on his account.209 The incident also raised concerns about police accessing the journalists’ social media accounts. During the trial of Reuters journalists Wa Lone and Kyaw Soe Oo, defense lawyers informed the court that the journalists were tortured in detention.215 On July 24, Kyaw Soe Oo told the court that he was subjected to sleep deprivation and forced to kneel for hours during interrogation.216 He also shared that a black hood covered his head. In Myanmar, high-profile women and women human rights defenders report regular gender-based intimidation and threats of violence.218 Common tactics of harassment include cyber-stalking, phishing, hacking, and attempts to cast doubts on women’s credibility, integrity, and character. Many are threatened or intimidated with the distribution of knowingly false information, such as doctored sexual or intimate images, sometimes followed by blackmail or extortion. 5 The number of internet users was reported in 2017 as 13.75m, 13.44m, and 13.46m by Internet World Stats, ITU, and the CIA World Factbook respectively. A report on Myanmar in 2018 by Hootsuite identified that this number had grown to 18m users by the beginning of 2018, see https://hootsuite.com/pages/digital-in-2018, 34 percent of the population and a growth of 4m persons over the course of the year. 14 Lower than Thailand, Indonesia, Singapore, and Malaysia, but the same as Vietnam: https://www.telenor.com/wp-content/uploads/2018/02/Telenor-Realising-Digital-Myanmar-Report-06-February.pdf. 46 U.S. Department of the Treasury, “Treasury Designates Burmese State-Owned Enterprises,” press release, July 29, 2008, https://www.treasury.gov/press-center/press-releases/Pages/hp1105.aspx; Shibani Mahtani and Richard C. Paddock “‘Cronies’ of Former Myanmar Regime Thrive Despite U.S. Blacklist,” Wall Street Journal, August 12, 2015,http://www.wsj.com/articles/cronies-of-former-myanmar-regime-thrive-despite-u-s-blacklist-1439433052 ; Michael Peel, “Myanmar: the military-commercial complex,“ February 1, 2017, https://www.ft.com/content/c6fe7dce-d26a-11e6-b06b-680c49b4b4c0. 47 Aung Kyaw Nyunt, “Myanmar’s fourth telco gets licence at last,” Myanmar Times, January 13, 2017, https://www.mmtimes.com/business/technology/24533-myanmar-s-fourth-telco-gets-licence-at-last.html. 67 These include the Myanmar Computer Science Development Council, the e-National Task Force, the Myanmar Computer Federation, the Myanmar Computer Professionals’ Association, the Myanmar Computer Industry Association, and the Myanmar Computer Enthusiasts’ Association. 68 Personal communication with senior members of the Myanmar Press Council, March 2018. 75 https://explorer.ooni.torproject.org/country/MM See: Kay Yen Wong et al, “The State of Internet Censorship in Myanmar,” OONI, https://ooni.torproject.org/post/myanmar-report/. 77 Unpublished presentation on deletion of Myanmar-language content on Facebook, Yangon, May 2018. 78 Unpublished presentation on deletion of Myanmar-language content on Facebook, Yangon, May 2018. 80 Unpublished presentation on deletion of Myanmar-language content on Facebook, Yangon, May 2018. 81 For the purposes of this report, “anti-Rohingya” has been used to describe a range of interest groups that are vehemently against the Rohingya. Some anti-Rohingya persons are pro-NLD, some are anti-NLD, and many are pro-military. 82 For example, Article 77 give the government powers to stop or prohibit any type of communication. 85 Personal communication with representatives of Facebook, Yangon, May 2018. 88 Personal communication with the authors of an upcoming report on cyber harassment of women activists in Myanmar, Yangon, May 2018. 90 Unpublished presentation on deletion of Myanmar-language content on Facebook, presented in Yangon by a civil society coalition, May 2018. 94 Including Mohammed Rafique, based in Ireland, Jafar Arakane, based in Saudi Arabia, and Ko Ko Linn, based in Bangladesh. 102 Personal communications with human rights defenders working on digital rights, Yangon, May 2018. 105 Personal communications with human rights defenders working on digital rights, Yangon, May 2018. 121 Referring to their content as the “truth”, and others’ as “fake”. 135 Personal communications with digital rights activists, Myanmar Digital Rights Forum, January 2018. 137 Unpublished presentation on deletion of Myanmar-language content on Facebook, presented in Yangon by a civil society coalition, May 2018. 143 Personal communications with Rohingya activists in Europe, February 2018. 145 For example, pro-Rohingya digital activists Ro Nay San Lwin and Maung Zarni have faced regular vilification from a range of anti-Rohingya sources in Myanmar. 146 While the monk Wirathu has become globally infamous, other anti-Rohingya digital activists such as “Bullet” Hla Swe have large followings too. 147 Personal communications with three journalists covering political beats, Yangon, April 2018. 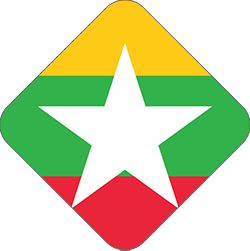 149 Constitution of the Republic of the Union of Myanmar (2008), Article 6(e). 150 Constitution of the Republic of the Union of Myanmar (2008) Article 354(a). 151 Constitution of the Republic of the Union of Myanmar (2008) Article 365. 152 Constitution of the Republic of the Union of Myanmar (2008) Article 354. Article 365 includes a similar broad and vague limitation. 153 The Pyidaungsu Hluttaw passage of The Telecommunication Law, No. 31, October 8, 2013, http://bit.ly/1g8hlU5. 154 Shibani Mahtani, “Myanmar’s Telecom Revolution Bogs Down,” The Wall Street Journal, October 25, 2013. http://on.wsj.com/1w4lTPD. 159 The State Law and order Restoration Council passage of The Computer Science Development Law, No. 10/96, September 20, 1996, http://bit.ly/1CXw1zk. 160 “A newly designed Electronic Contact Cooperation Law may be released soon,” 7Day Daily, December 14, 2014. http://7daydaily.com/story/26977. 165 Personal communications with members of the Harmony Working Group, Yangon, February 2018. 167 Personal communications with members of UNESCO’s Media Development Thematic Working Group, Yangon, May 2018. 172 Personal communications with a range of lawyers acting for defendants on digital-related cases, December 2017. 193 Aung Kyaw Nyunt, “SIM card registration to be enforced in 2017,” Myanmar Times, August 3, 2016, https://www.mmtimes.com/business/technology/21728-sim-card-registration-to-be-enforced-in-2017.html. 195 Nay Myo Tun, “6m unregistered SIM cards axed,” Eleven Media, August 19, 2017, http://www.elevenmyanmar.com/local/11171. 202 Personal communication with the head of a civil society organization working on digital rights, Yangon, June 2018. 205 Briefing on corporate performance, captured on video, shows that Telenor received 29 requests in 2017, and fulfilled 19: https://www.youtube.com/watch?time_continue=2517&v=5Rt4IuAKPck at 42 minutes, 24 seconds. 206 Personal communication with a senior manager from a civil society organization working on telecommunications reform, Yangon, June 2018. 207 Personal experience of the author when accompanying persons attending police interviews, Yangon, between January and May 2018. 208 Personal communications with a range of interviewees that have been arrested for protesting or for other forms of activism online, July 2017 to March 2018. 217 Personal communications with a range of participants at the Myanmar Digital Rights Forum, Yangon, January 2018. 218 Personal communication during a range of focus group discussions with women human rights defenders in Yangon and Kachin, March 2017 to December 2018, to be published in an upcoming report on violence against women human rights defenders. 225 Personal communications with a digital rights specialist working with various human rights defenders, Yangon, May 2018. 226 Personal communications with a pro-Rohingya activist, Yangon, April 2018. 227 Mobile phone spy software includes mSpy, FlexiSpy, Highster, SpyEra, TheOneSpy, and Mobile Spy. Personal communications with women human rights defenders, Yangon, February 2018.